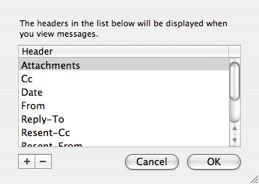 In order to be really sure who is sending you an email you will have to carefully examine the email headers. This is also a place you can look to catch spam emails. 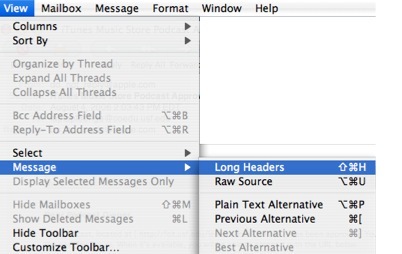 To view all the headers for a message in Mail, select View, Message, Long Headers. The headers will be displayed at the top of the message as a list, with the header name on the left and its value on the right. 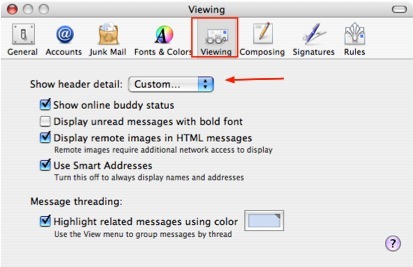 If there is a header you always want to be visible, you can change your preferences to display it by selecting Mail, Preferences, Viewing, and selecting Custom from the Show header detail pull-down menu. To add a header, click on the Add (+) button and type the name of the header you want to add (you can get this from the header list displayed when you select View, Message, Long Headers). You can click on the Delete (-) button to remove a header from the list.